India Gears Up For The Launch Of 26 New Cars In The Next 3 Months! A festival in India is considered as an auspicious time to buy new items such as homes, cars, ornaments etc. 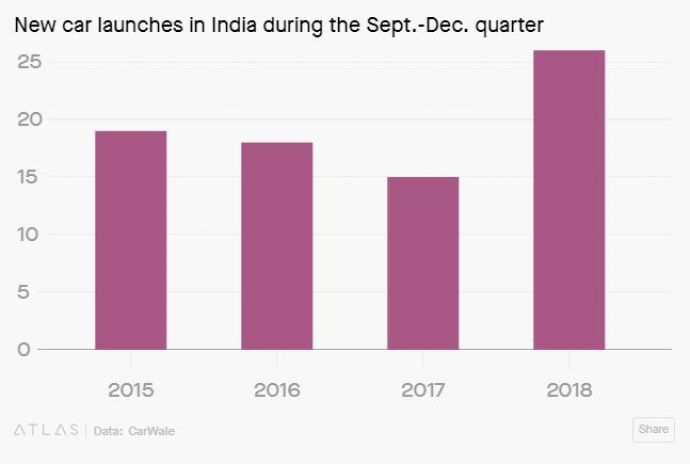 With India awaiting the larger-than-life festive season to kick off, car makers have also started rolling their sleeves up to launch their cars’ latest models. As many as 26 new cars will be launched in the span of next four months, leaving the potential buyers with nothing less than a catalogue of latest collection to browse from. 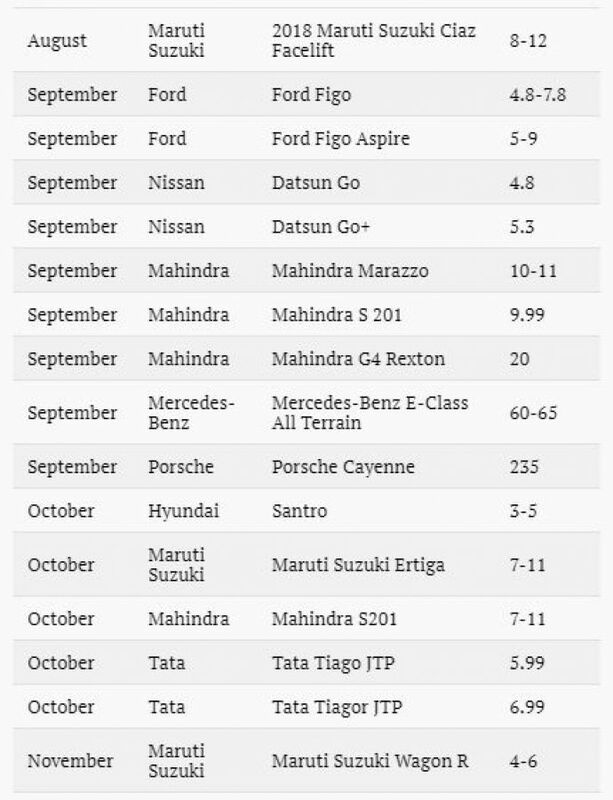 Last year, the festive season saw a launch of 17 cars according to the website CarWale. Price range of all the 26 cars is spread across from average to extreme. The affordable one viz. the new version of Wagon R starts from Rs. 400,000 - Rs. 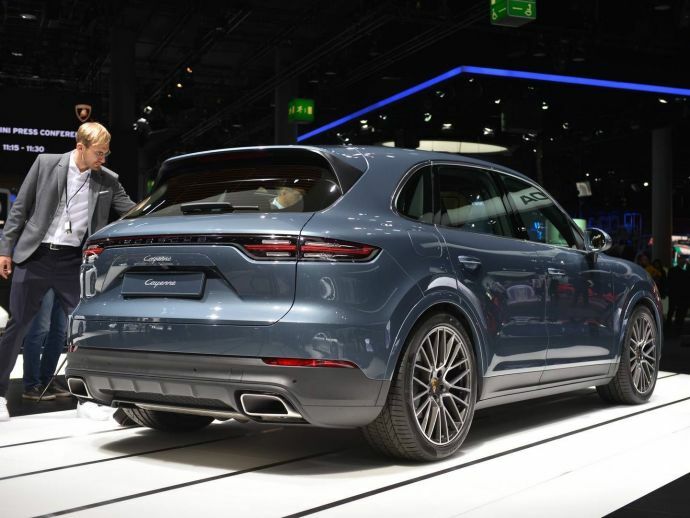 600,000, while the plush one from Porsche will launch the Cayenne at a starting price of Rs. 2.35 crore. The festive season begins in full swing from the month of September and carries on almost till the year end. Festivals such as - Raksha Bandhan, Janmashtami, Ganesh Chaturthi, Dussehra, Diwali, and Navratri are what brings in the fervor. A festival in India is considered as an auspicious time to buy new items such as homes, cars, ornaments etc. It is also around this time that most of the Indian companies hand out annual bonuses, cash gifts, etc. for them to splurge. Businesses find this as a great opportunity to cash upon an offer heavy discounts, launch offers, add-ons and freebies to lure customers. Gupta further added that many companies also use this as a chance to push out the old inventory which culminates into swelling of sales. As per the data released by industry body Society of Indian Automobile Manufacturers, the car sales in the month of August had rises at 11.8% year-on-year. Domestic passenger vehicle sales increased at 13.32% year-on-year compared to 7.29% in 2017.